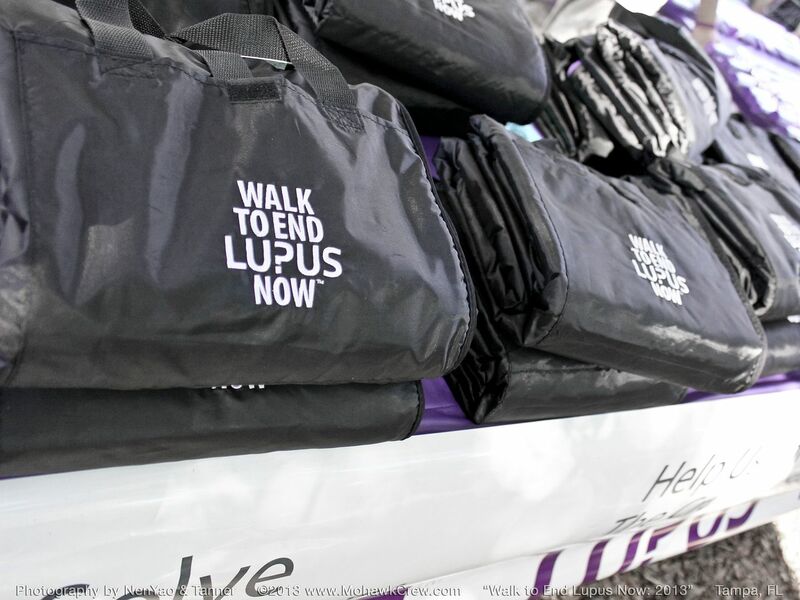 Welcome to the "Walk to End Lupus Now 2013" Live Event Photo Gallery. We are in the process of sorting through over 1500 photos... Chances are, we got a shot of you in the crowd. Check back periodically as we will be adding new pics weekly. All photos are FREE for personal use. Please credit our photographers when possible. Thank You. Feel free to download, print, share, and re-post! Were you walking last year? Click Here. 2012 Photos and More. 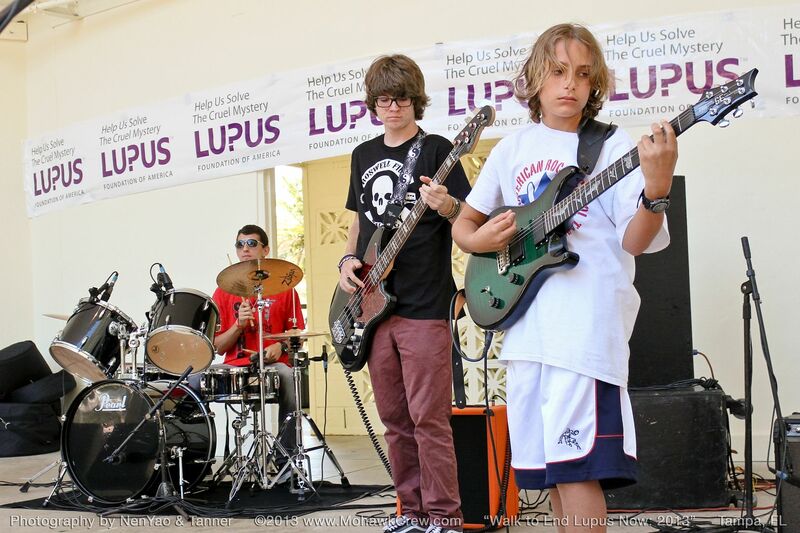 This tribute page is devoted to the local Tampa, FL chapter of the "Lupus Foundation of America". First of all we would like to thank Sara Bently for inviting the Mohawk Crew back again as the official photography team. 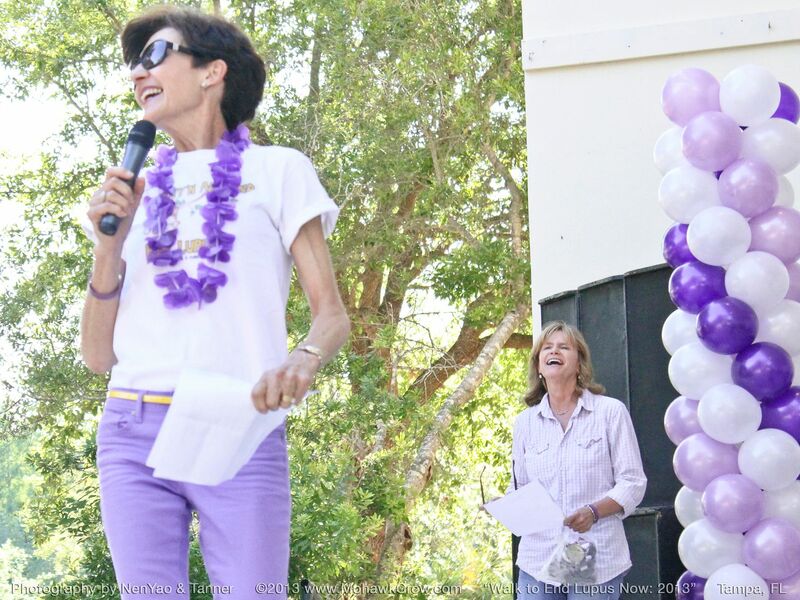 We would also like to thank Joan Pendleton, Cindy Coney, and everyone else involved for putting on such a fun afternoon full of smiles, music, laughter, and love! What a great way to raise awareness for such a cruel mystery. Once again, We are so glad that our crew could help out in any small way! This was our second year participating as the official photography team. NenYao helped a great deal, taking on most of the photography responsibilities this year, so a special thanks to her! Leave us comments at the bottom of the page. We really enjoy your feedback. 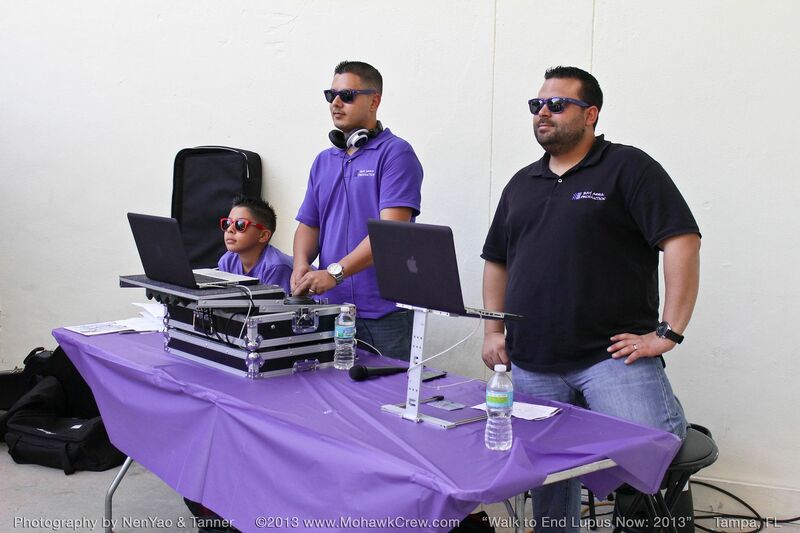 Let us know if we can help capture your live event, party, fundraiser, artshow, or other festivities. Thanks for your continuing support! 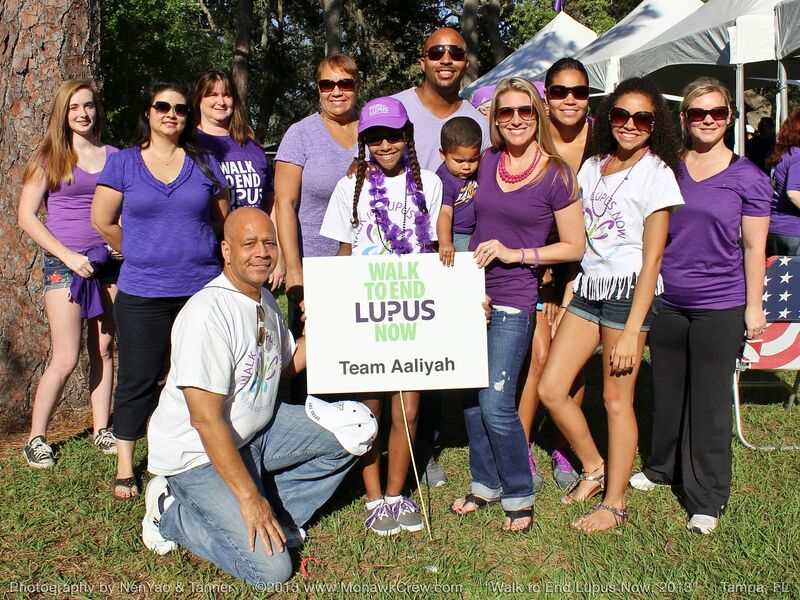 Official Donation Website for the Tampa FL Lupus Foundation. Cindy Coney and Joan Pendleton laughing it up. 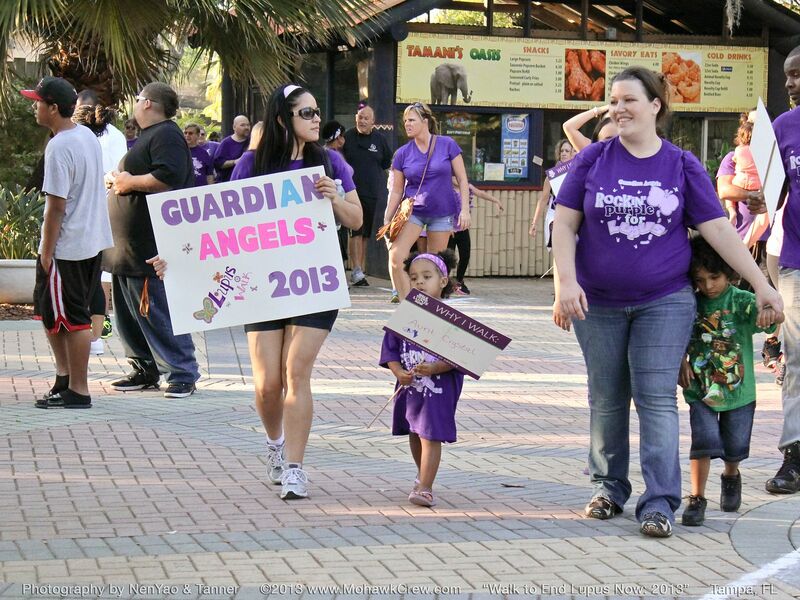 Teams, Friends, Families, Vendors, and Volunteers alike show their support! 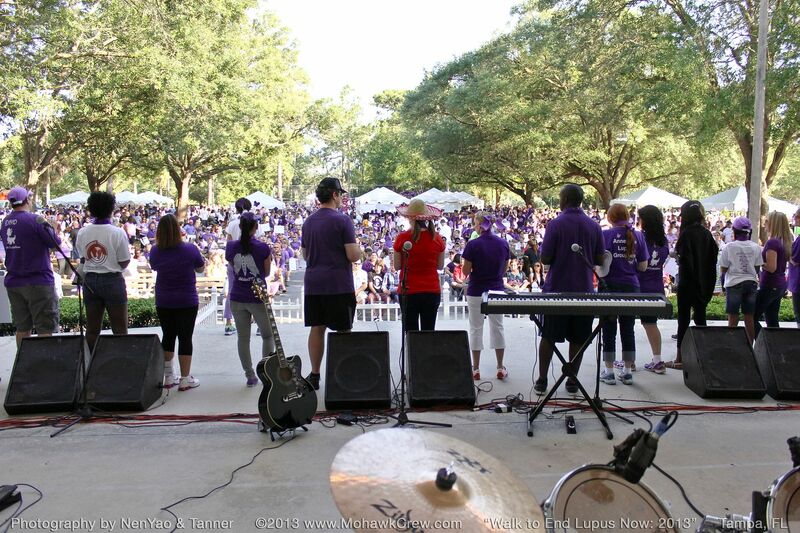 Main Stage with Fundraisers and Guests. 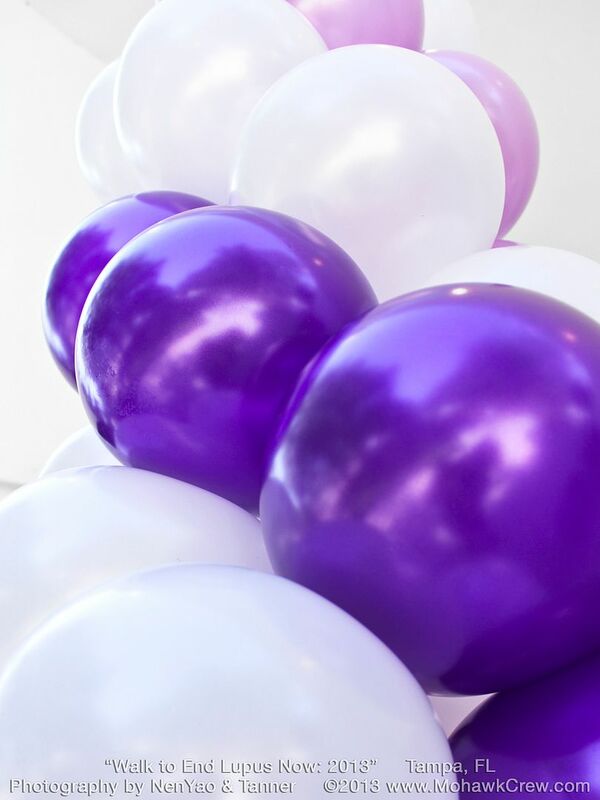 Teams Show their Support by wearing Purple. 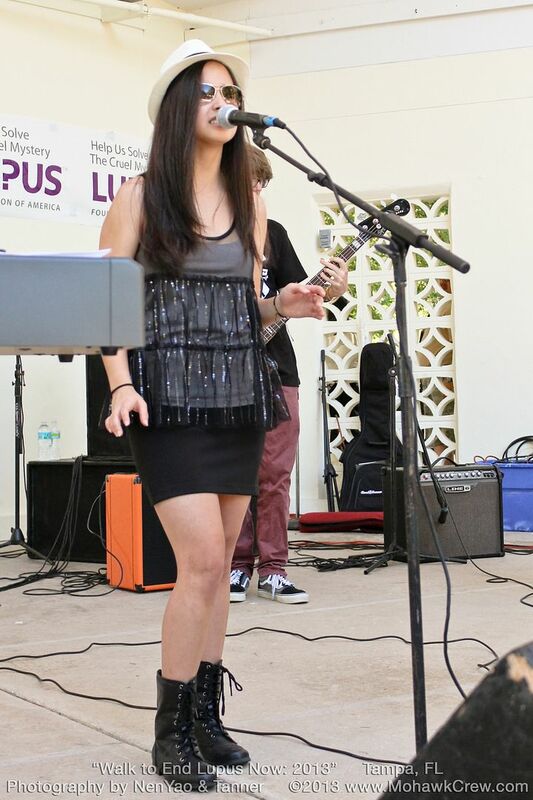 Free Music at the Band-Shell. 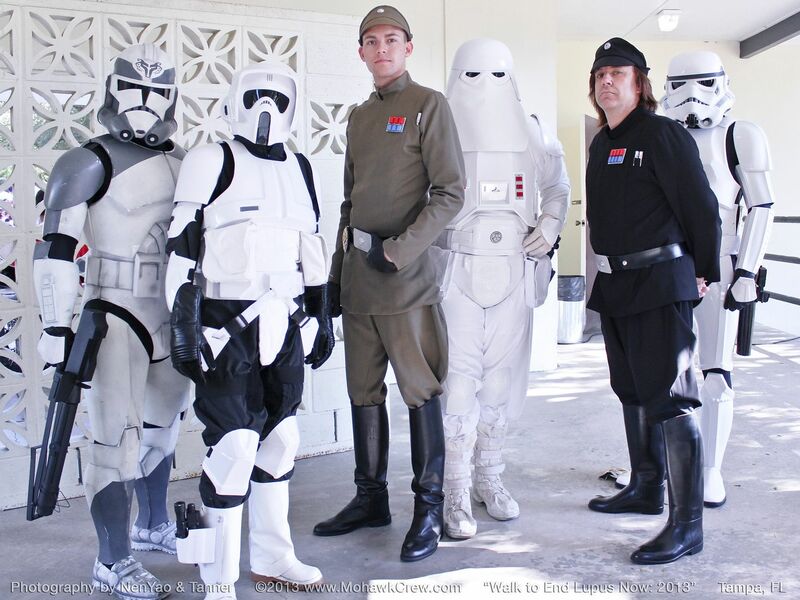 Storm Troopers March for Lupus. 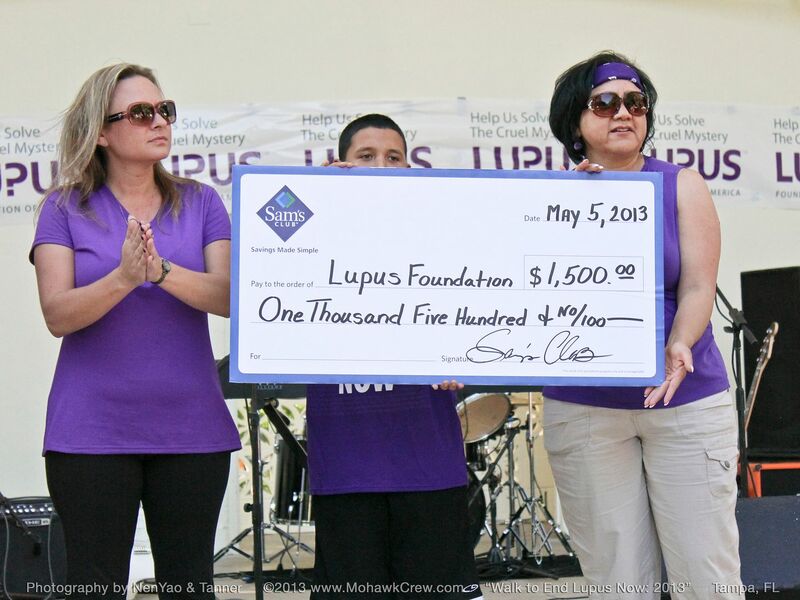 The Tampa Walk for Lupus took place on Cinco de Mayo, Sunday May 5, 2013 at the Lowery Park Zoo in Tampa, FL. The LFA set up at the entrance of the zoo; around the band-shell, for an afternoon of fun and excitement. 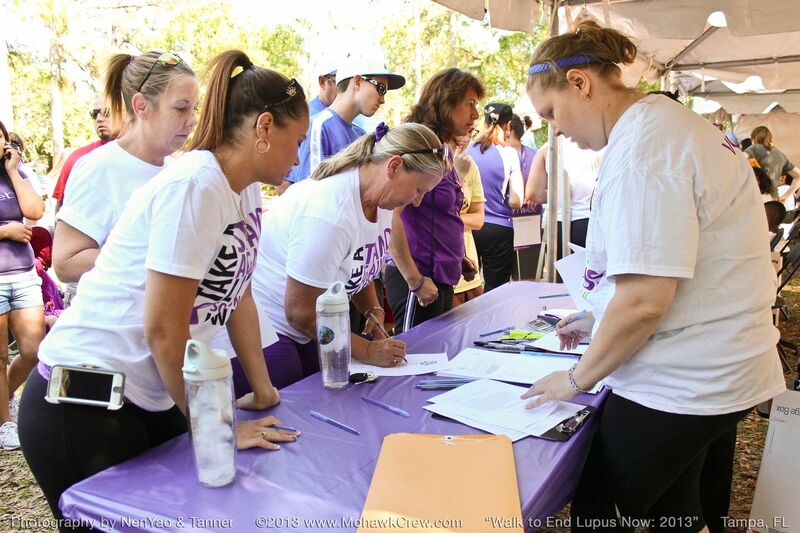 Vendors and volunteers were everywhere helping register guests and collect money. There were lots of refreshments and snacks on hand; donated by Sams's Club. Crowds of friends and family gathered in the picnic area to mingle, laugh, and enjoy the festivities. 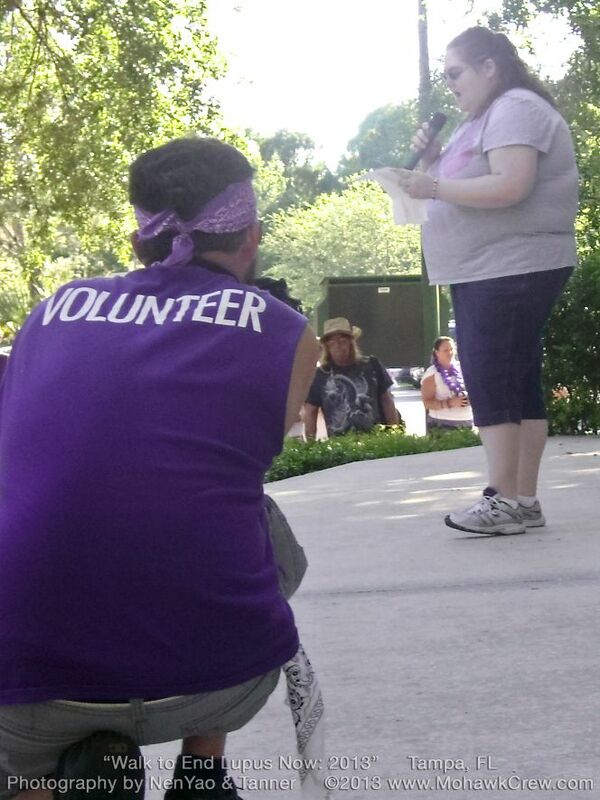 Once again, Joan Pendleton hosted yet another great event on the main stage. With live music, guest speakers, a letter from the Govenor, a GIANT sized check... Not to mention a very special appearance by LFA chairman, Cindy Coney. We all got quite a show! 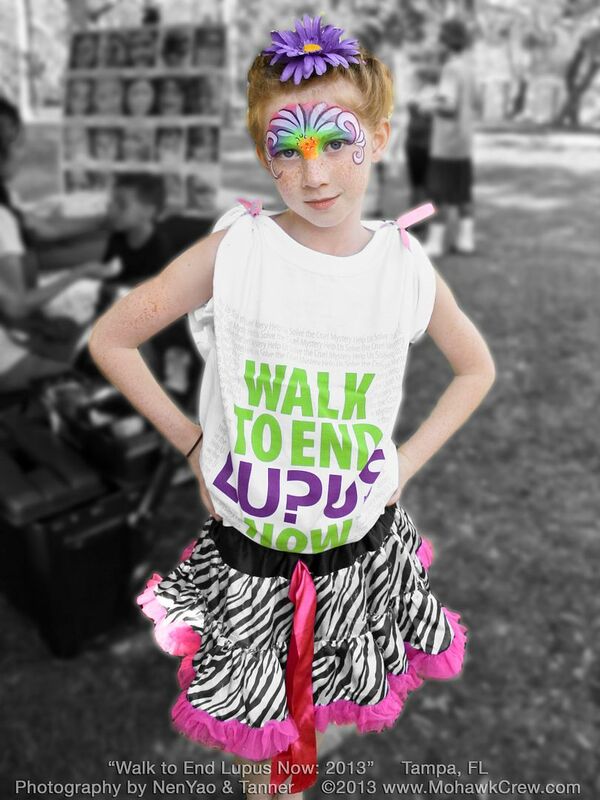 Everyone showed their support for finding a cure by wearing the color purple. Individual groups designed and wore custom made t-shirts, outfits, hats, and jewelry, then proudly displayed them on stage in the annual "Team T-Shirt Contest". Sam's Club presents a GIANT Check! 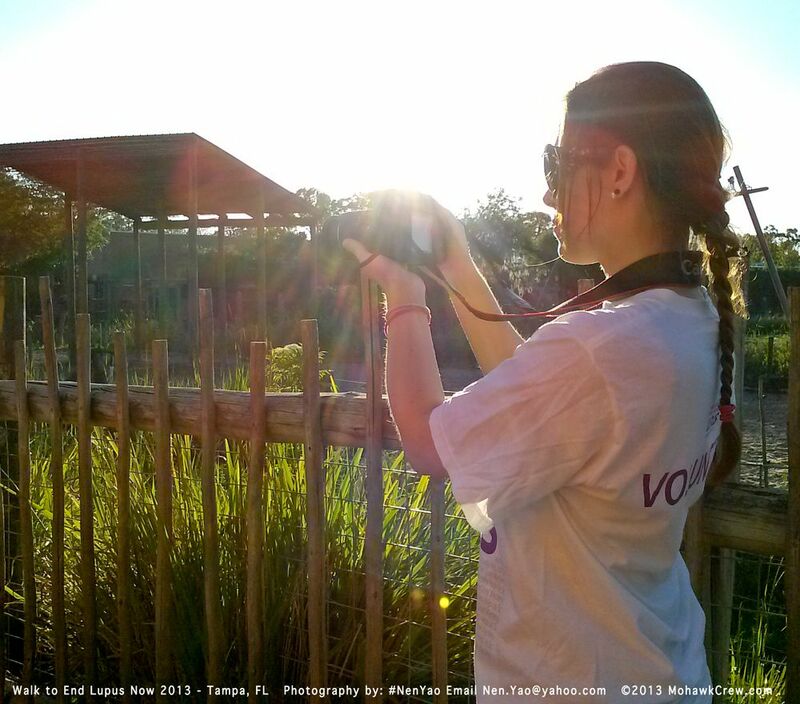 Walk Through Lowry Park Zoo! Event Ceremonies and Faces in the Crowd! 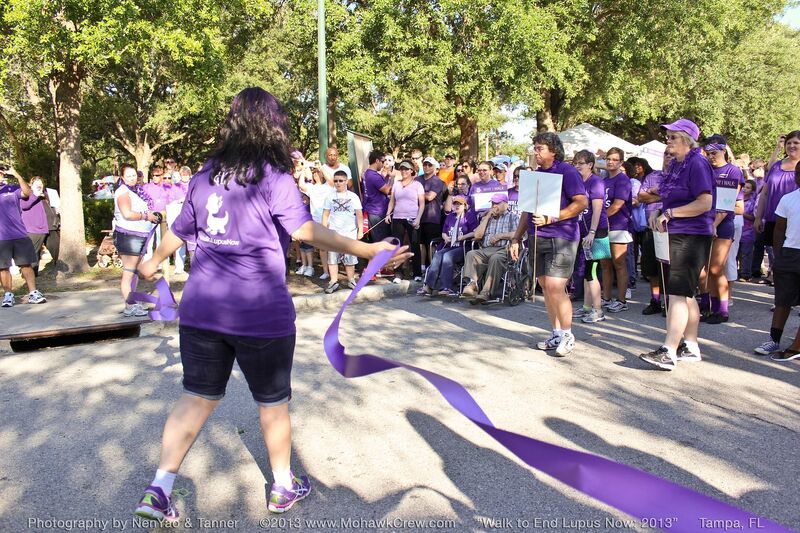 The Purple Parade Walks Through the Zoo! Event Photography by NenYao and Tanner Monroe.